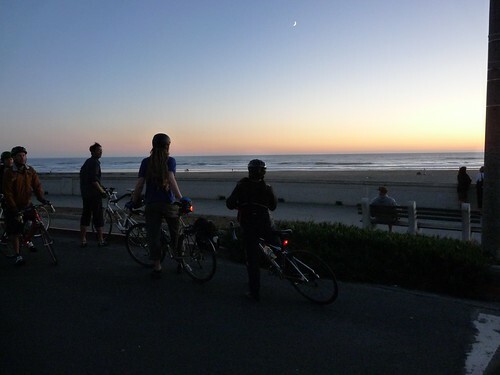 a couple of weekends ago four people, including myself, gathered together after months of emails and changed plans for one purpose: to teach an adult how to ride a bike. i was merely a spectator-cheerleader, yet the instigator, of the happenings that weekend. we met up in a deserted area near a great indian place in berkeley, chose an empty parking lot and let the teaching take its course. my phone being at near capacity, i could only get two photos of the awesomeness that occurred that weekend. but rather me tell you how it went down, i got permission from the new bike rider to use an email she sent to us after the fact. who better to describe how she felt than the person herself? the email was edited a bit, but you'll get the idea, of that i'm quite certain. my parents were in disbelief that i learned after all these years. 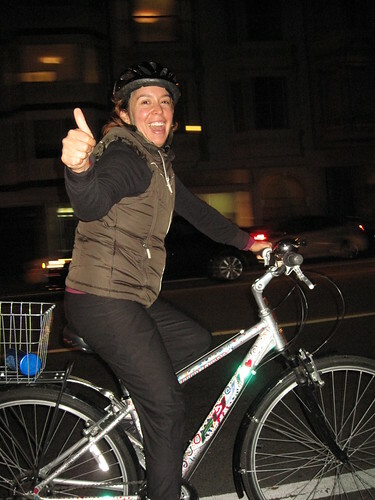 and my brother said he was proud of me =) i can't wait to bike to work & everywhere else & go on bike rides around oakland and sfc! now if that is not the definition of the title of this blog, i don't know what is. Nature being what nature is, Declan is growing out of his bicycle. 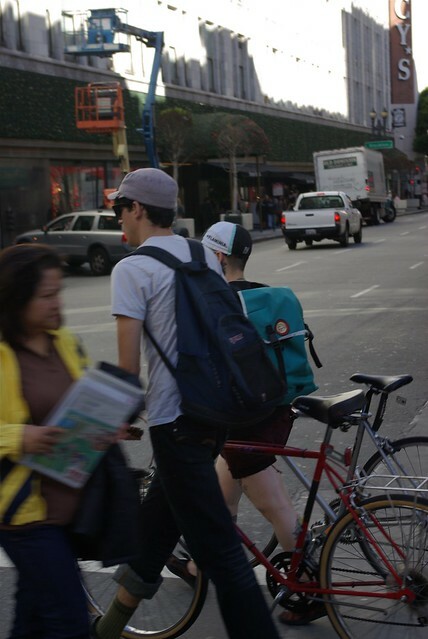 Unlike the older kids at the same age, Declan rides his bicycle a lot. He has managed to wear out the rear tire with all of the skid stops he performs. He sees his bicycle as his ticket to "Big Boy". 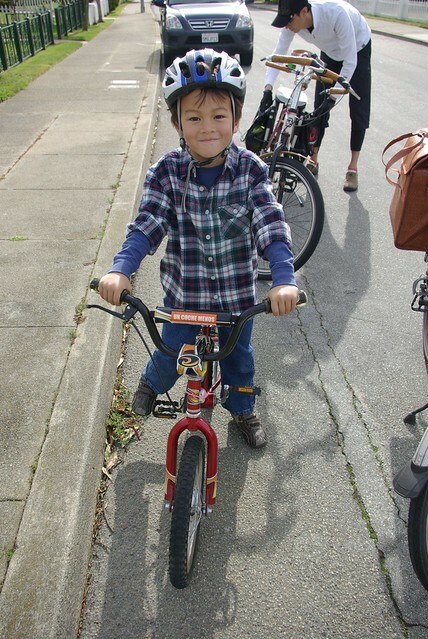 Even though his school is only three blocks from home, he wants to ride there because his siblings ride to their schools everyday. 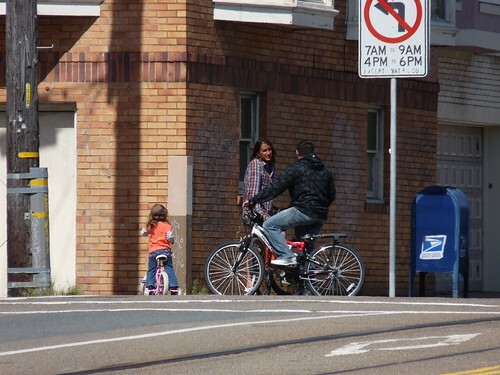 Because of that, his bicycle isn't like the bicycles his friends have- his bicycle isn't a toy, it is a tool. 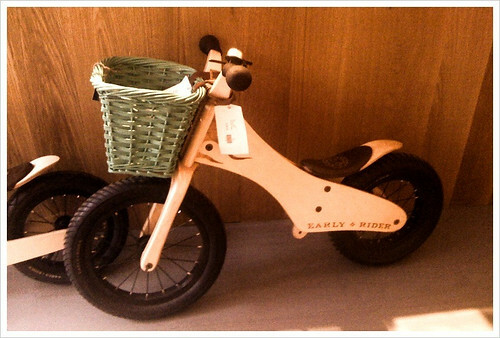 This is the kind of bicycle I wish I could find for him. It is a Batavus Dragon 20" with lights and a rack and fenders and a chain case , and most importantly, a 3-speed internal hub with coaster brakes. Declan is only five years old, and hand brakes are not a good option for him at this point. 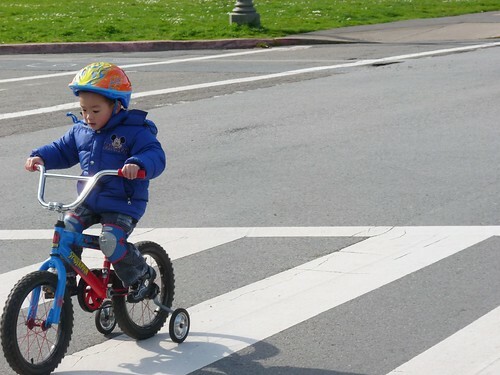 It will be a few more years before he has strong enough hands to use hand brakes, especially when we are beginning to teach him how to ride in bicycle lanes and how to ride between neighborhoods with us. I have looked around and have not been successful in finding anything like this in the US. Forget the bells and whistles, I can put lights on a bicycle and Declan isn't quite ready for cargo so a rack is not necessary at this point. 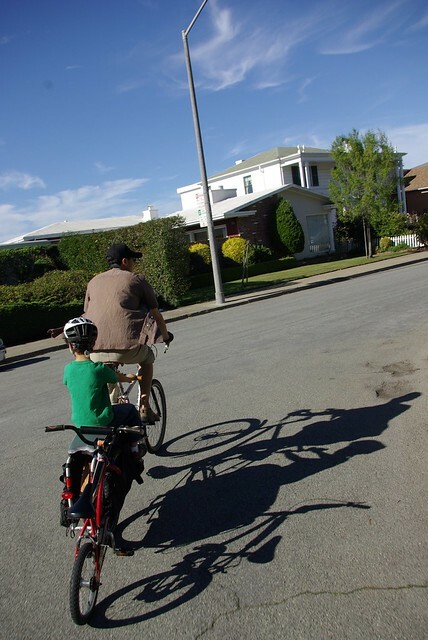 He does need some minor gearing to make the hills around our neighborhood more easily negotiable (the typical 7 speeds with external derailleur you find here are too complicated for someone so young) and he needs reliable coaster brakes that will keep him from flying into traffic. This is not a combo that you can find here in the USA. The smile Declan is exhibiting in the above picture is the result of him riding the whole way from our home to the Farmers Market almost three miles away. 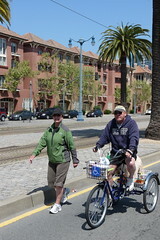 We were able to ride in the street the whole way there including crossing three very busy intersections. He was so proud of himself. He was also a little disappointed that he could not ride home. Because his bicycle is a little small for him, hills are that much harder for him and it was uphill a great deal of the way home. So now, I find myself looking for a needle in a haystack. I could have a bicycle like the Dragon shipped to me, but the price would be so hugely prohibitive it would be silly. I don't mind the shipping, but the bicycles themselves are pricey. Had I been able to buy one with my first child to pass down, the expense wouldn't be so bad, but Declan is the last one. I have looked on Craigslist in several regions with no luck. Ebay has been a bust. All I have found is a larger version of what he already has, a single speed with coaster brakes ranging from $50 to $500. 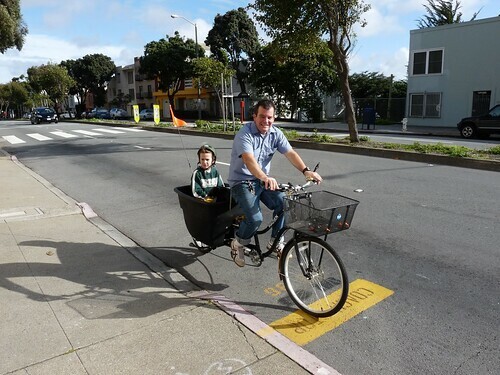 With the City opening up to more and better cycling, and with the future of Declan's world being one where he will need to be independent of oil based transportation (much like me at that age during the OPEC oil crisis in the 70's) we need better options for children's bicycles. 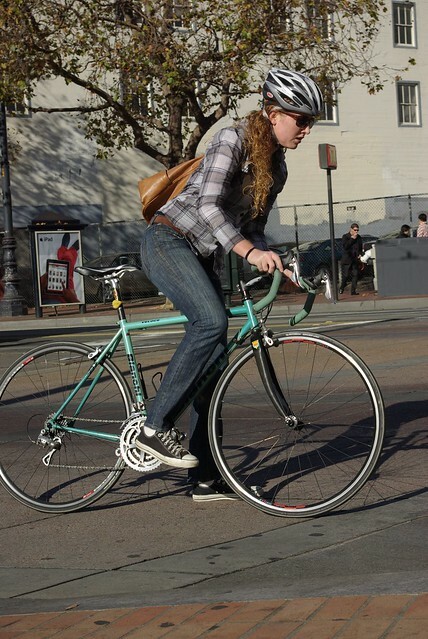 Anyone out there have any ideas for a kid's 20" 3-speed with coaster brakes? Please share! 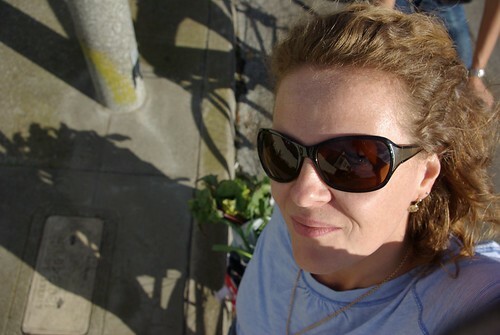 Frenchie on MacAllister, Nov. 2010.
are what make up everyday life. 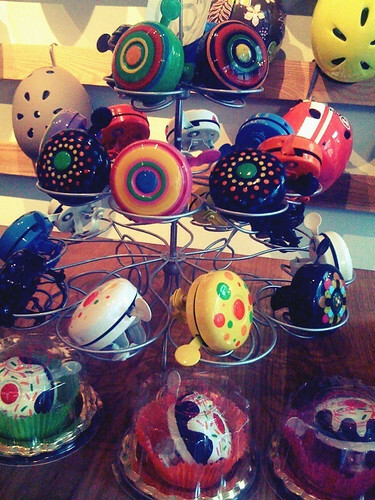 scenes from a display counter. hopefully you are with your family, friends or doing whatever it is you feel thankful for. this past month i was very thankful to be given a present to be back in the city i love so much. and always, thankful for you guys, our readers. the crew here at cylrab. give room for big views. What do you on black Friday?! I am a big advocate of buy nothing day on black Friday. As a matter of fact I didn't shop much at all this year. A compulsive purchase were some awesome I'm-in-my20s-and-4inch-platforms-are-awesome boots, and the other on the other hand was quite necessary, when my saddle was totally done while riding. I can honestly say I rode that thing until it fell apart. That is all I can think of. However, I do still purchase coffee. I am looking forward to chill at a coffee shop Friday morning with mi mom and enjoy some quiet beautiful serenity in the City. Also really looking forward to have some time off work and eating lots. Like a teenager. 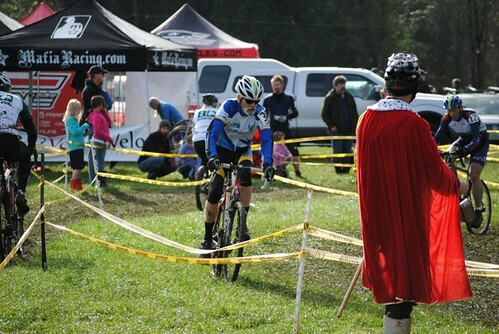 -cyclecross love, sent to us by reader Michael W.
they can help you stand your ground. can lead to such big changes. According to the weather report, today was the last day of lovely light and long shadows. This last week has been spectacular, the kind of weather that makes you thrilled to live in Northern California. These may be my last pictures of Autumn. When next you see me, I will be ready for near freezing rain. 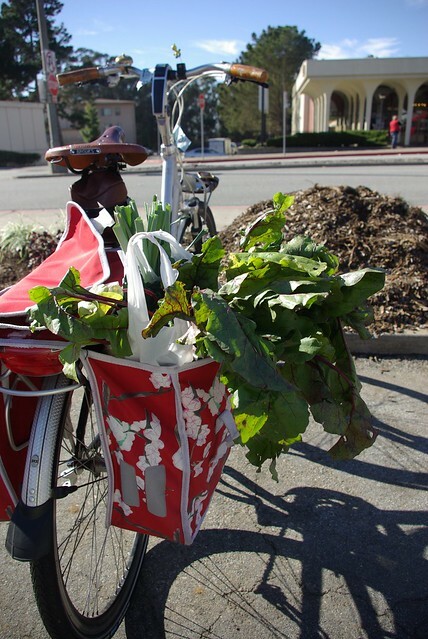 Our Farmers Markets in San Francisco are year round. They may not produce quite so inviting a pannier tableaux by Saturday morning. Here we go, people! The long, dark months are upon us! 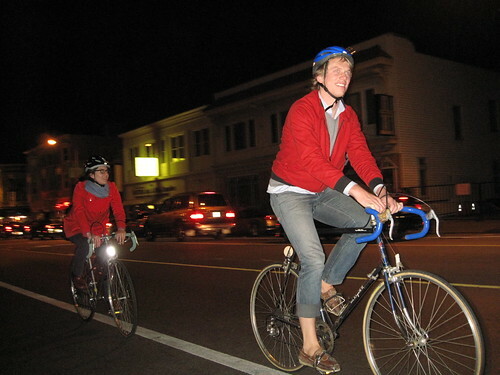 Get those lights on your bicycles (now! 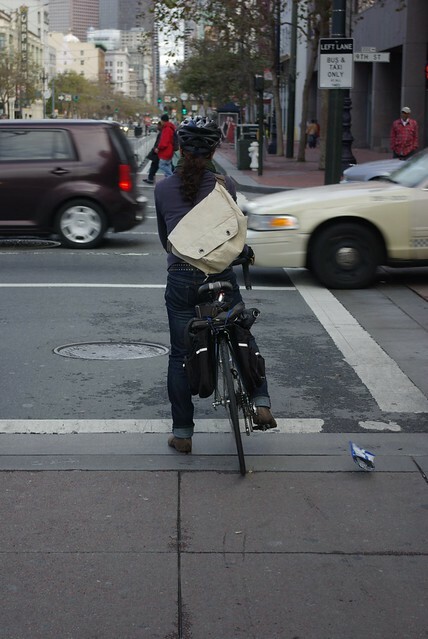 Stop reading this and go put some damn lights on your bike! ), shake out the weather proof gear, make sure your panniers have adequate drainage, lube your chains and stop worrying about the extra weight and get some fenders already! 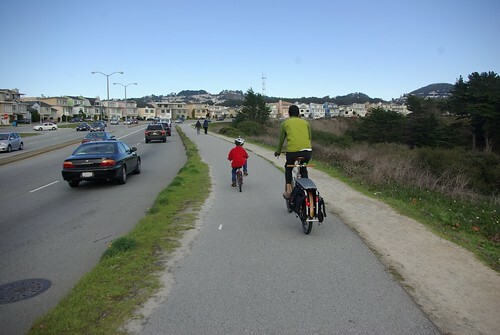 #3- You Can Not Teach Kids How To Ride In The City. It is time for the last of the kids to learn the streets. Cameron and Úna both learned at about the same time and were older when we started teaching them. 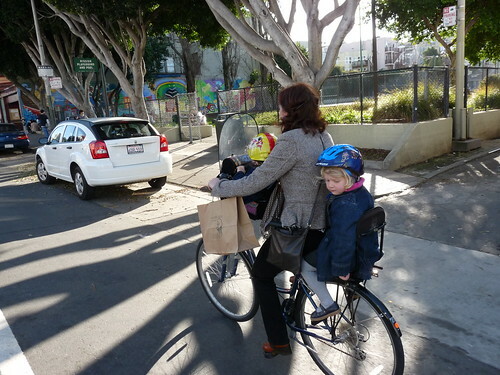 Between the changes in the City and getting our Xtracycle we have been able to start early with the wee monster. Declan is so proud of himself. He tells me it makes him feel like he is 6! This last weekend was so lovely and quiet in the City we decided to give Declan a chance at a longer than usual street stint. 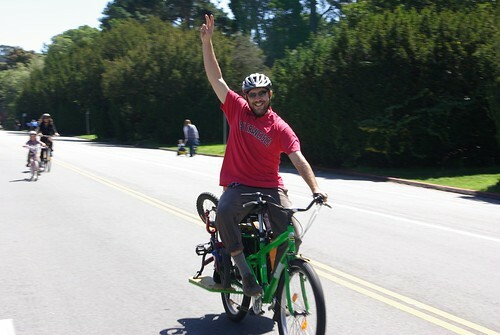 We were able to let him ride with us for about 2 miles before we had to put his bicycle on the Xtracycle because of traffic. Declan was not happy about it, he wanted to keep riding. He gets very frustrated with all of the traffic in the City. He always points out when it is quiet out and the cars are absent. He always remembers which streets are the least trafficked and always asks that we use those streets. It is funny how something so simple could make something like teaching a five year old the rules of the road easy and convenient. 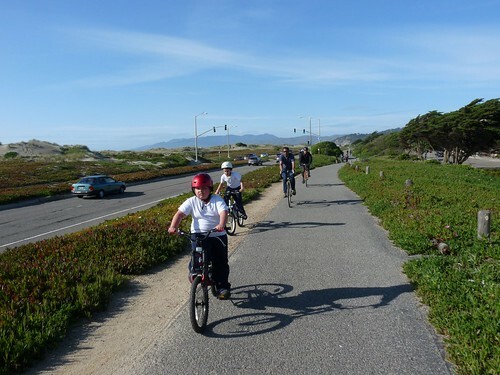 Once we got through Stonestown and the crazy traffic, Declan was able to have his bicycle back to ride on Ocean Ave. I was surprised how far he was able to go and how positive the people who drove by were when they saw him riding his little bicycle. Declan has been learning the rules of the road for a little while now. 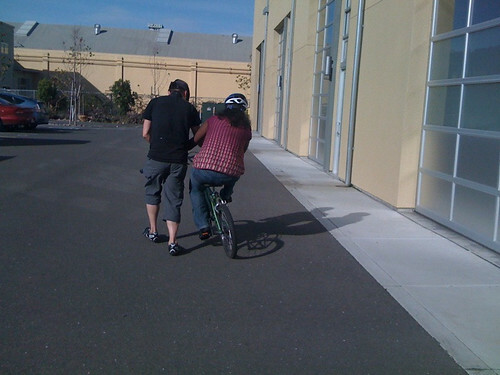 A couple of times a week we ride down to the library or the grocery store together. 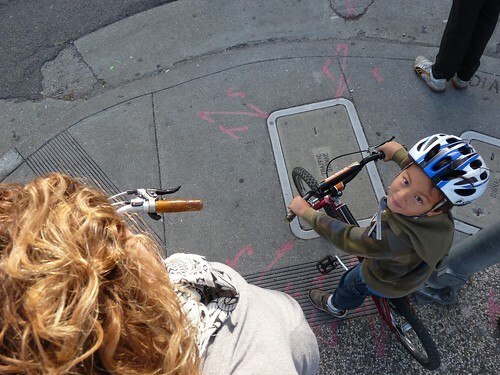 We have been riding on the sidewalk so that Declan gets the feel for his brakes and listening to directions. Doing this he has learned how to ride in a straight line, stop at intersections, stay with me at my side... by the time he is in 3rd grade I am sure he will be able to ride almost anywhere in the City with us without a problem. 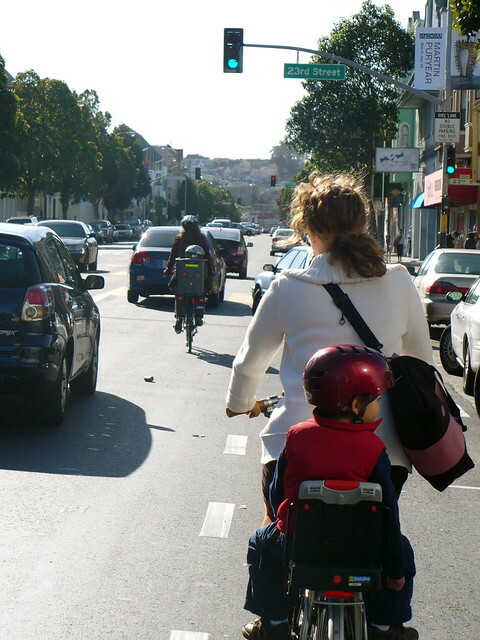 We are not the only people in SF who are teaching their children how to get around. 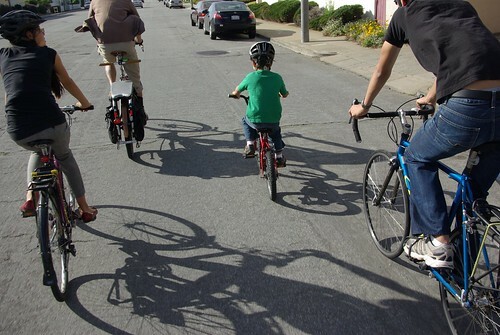 More and more I am seeing people get their kids out on bicycles. 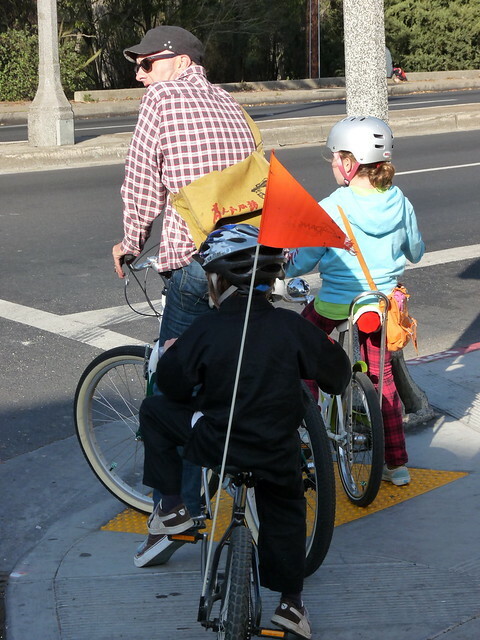 Even if it is just on the sidewalk it is the beginning of these kids learning how to be independent. 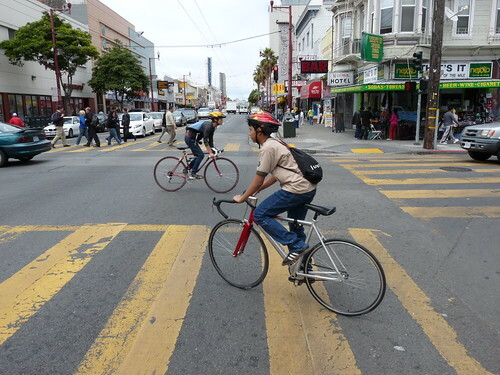 Did you know you can sign up your kids for classes on how to become a bicycle commuter through the YMCA in San Francisco? A little myth busting group-style. 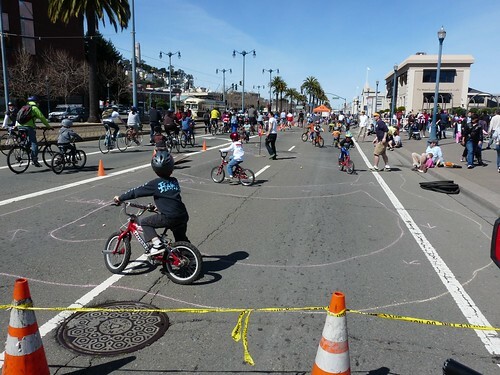 Maybe by the time these kids are teenagers they will have a completely transformed city that riding a bicycle in will be simple fact of life and not something to blog about. =) I just made this term up. wooot! 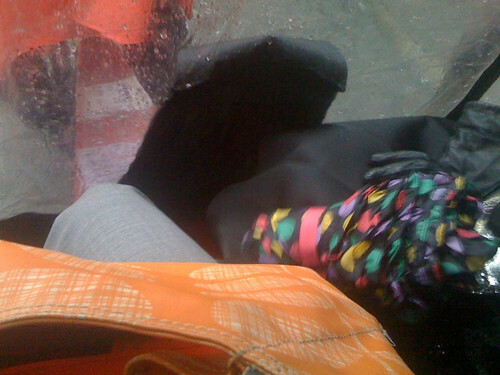 the other week i went into exile after the giants won to new york city with the mama texican. we packed a lot into a short trip, maybe minus an afternoon tea date. we had a SCHEDULE to follow one day. this day was to see carmen at the metropolitan opera. ok, so the only thing we really had to do was leave our hotel at 5pm in order to have dinner and get to the show. 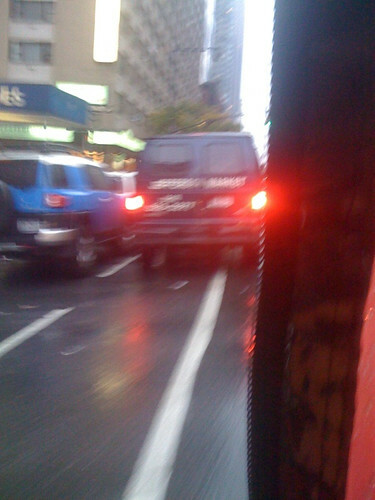 it was raining, and oh yah, 5pm is prime rush hour time during the week. maybe you've heard of this phenomenon. 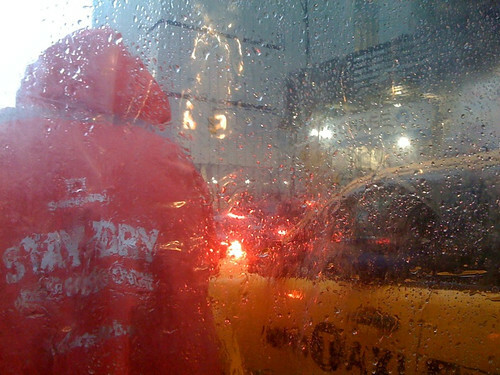 hotel was too far from lincoln center to walk and cabs were all full. please excuse the quality of the pics. it was pretty bumpy back there. would i recommend it again? depends on a few things. it was super fun though and an experience we both soon wont forget. 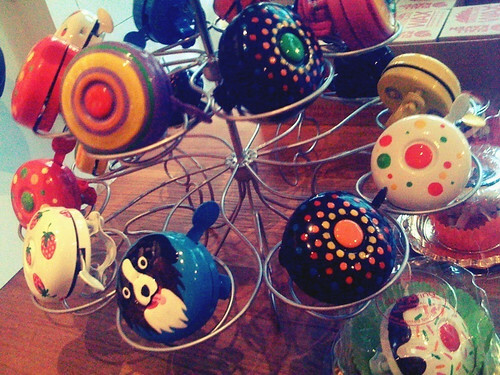 thanks for the birthday gift :) i will remember it always. 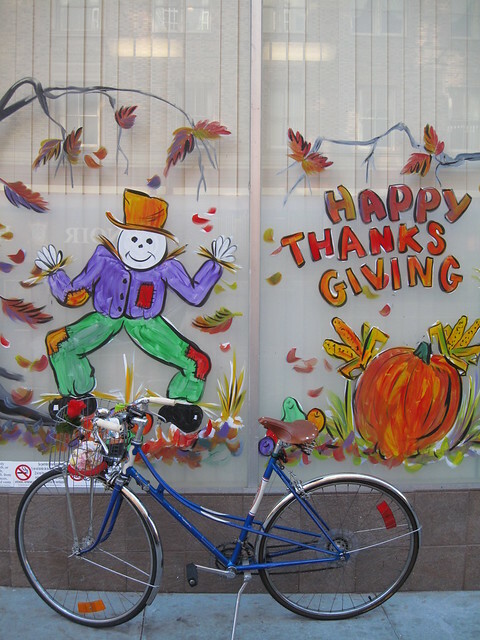 Over at Cyclelicious, there is a November baiku (bike + haiku). Here is mine! Go post one in Richard's comments (he has the rules there). Or leave one here. Up to you. there is much to be thought of. 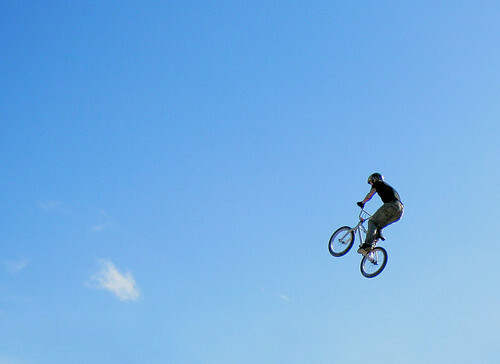 The other day I opined about how sad I was that my camera died just before I got to the jump competition at the SF Bike Expo. Well, I should have known that my friend Richard would have me covered. 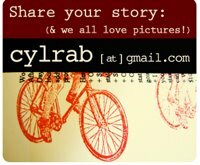 Make sure to visit Cyclelicious for more of Richard's view of life. 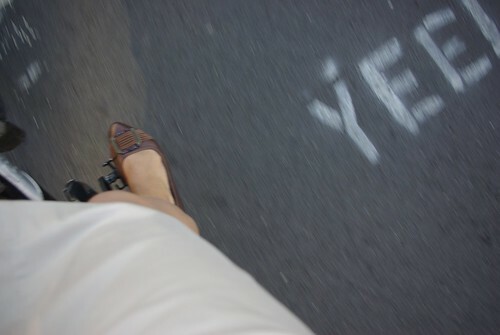 My bike lane actually professed its joy in being! Gotta love it. Onward and upward! What shall we talk about this time? Shall we tackle the "kid" myth? Let's jump in! If you are a regular reader of this blog you already know this to be untrue. 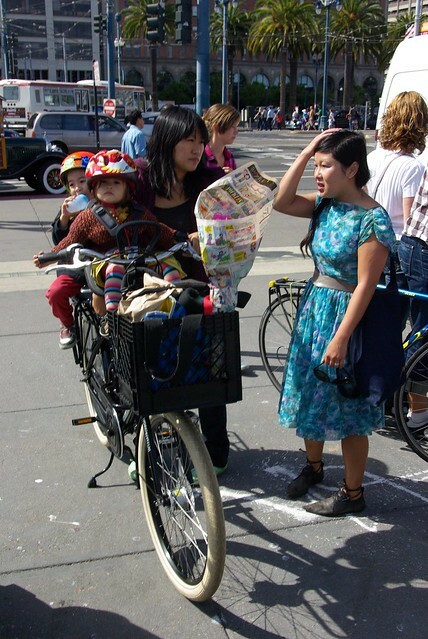 As I have posted about my own kid's adventures in San Francisco, ad nauseum, if it were true that one can not ride in the urban environment with children then my whole family would disappear in a puff of fairy dust. I wonder if this gentleman knows that he and his children are figments of the collective imagination? This would mean that the martial arts class he and his kids are riding home from probably didn't exist either. These children will be scarred for life when they find out they don't exist. I didn't really see them and my camera took a picture of ghosts. They seemed to be enjoying their imaginary trip across the Sunset District. Their fathers seemed to be happy, too. Perhaps it takes a great deal of pressure off the soul when you don't exist. It couldn't possibly be the bicycle ride in the sun. 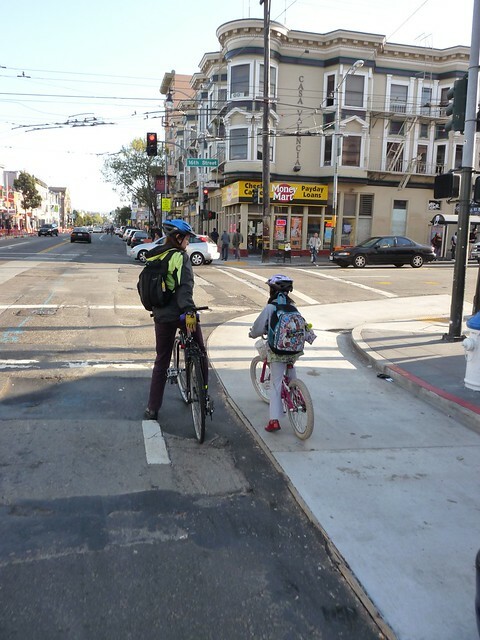 A lone child on a bicycle in the Mission? Not possible. 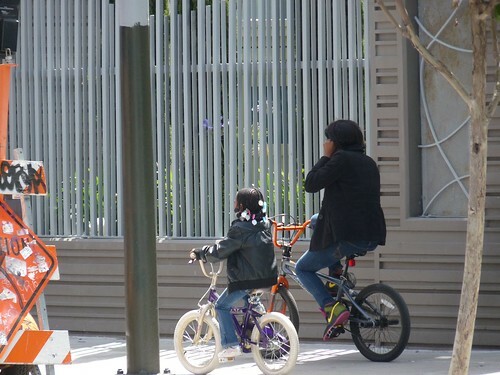 Who lets their children ride their bicycle to soccer practice? My imaginary neighbor. He has three lovely boys that ride in the bucket to and from school. 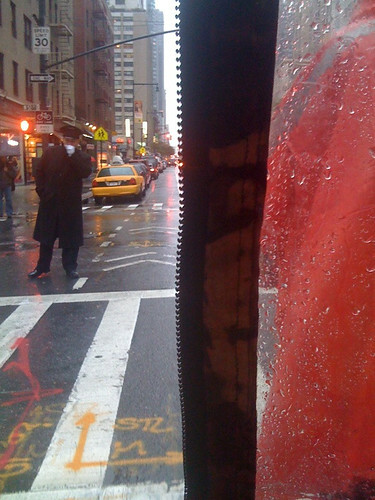 You can tell this picture is fake. What Mom would ride with their daughter on the back? 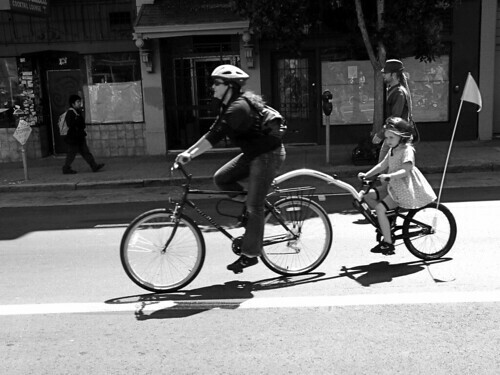 Multiple Mom's, unrelated to one another, on Valencia Street with children riding on the backs of their bicycles? Never happened. you guyyyyyys, the frugal traveler (seth kugel) went to LA and discovered that to be able to do LA on $100 a day, the best option was....(everybody now) RENT A BIKE. There is the fact that the county covers more than 4,000 square miles. That it has seemingly endless, overlapping multi-lane highways versus a tiny number of bike lanes. And oh, yeah: that it is bisected by a mountain range. 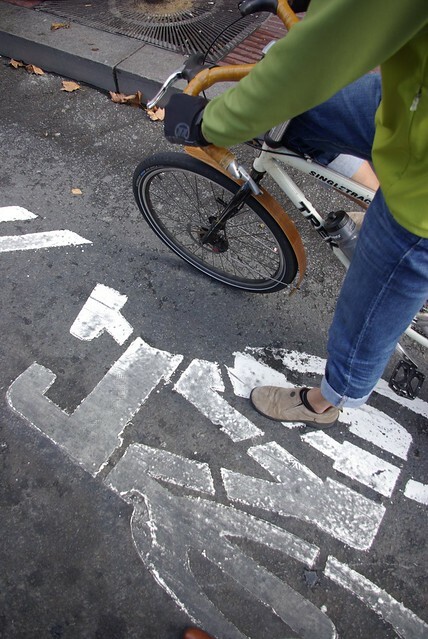 Taken together — not a great place to get around on a bike. But what if you can’t afford to drive? What if, in fact, you wanted to visit the city on about $100 a day? We have all celebrated. We have all enjoyed. Now we can sit and do some orange bloggie invasion. Win the world series. 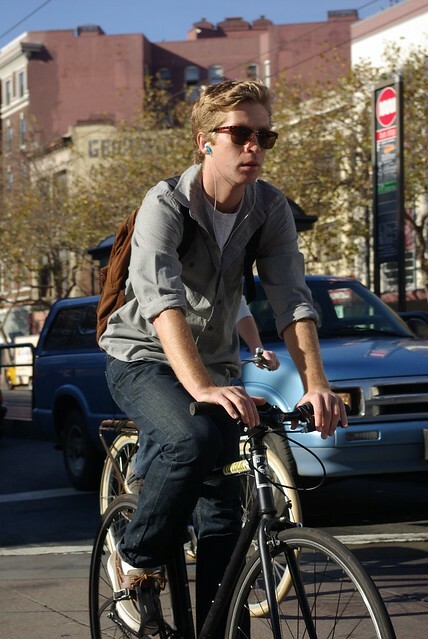 Ride a bike! my kinda guy --- warriors!! 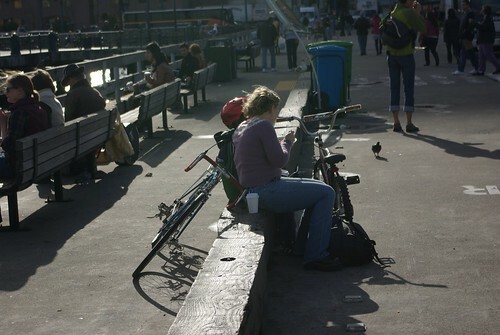 leave it to me to find the bike posse with mi dead cellphone. oh HAI. ok, the games might be over, but the joy +celebration continues to linger around town - I tell you. Can You Name The Theme? Take The Lane Or Make A Better One? 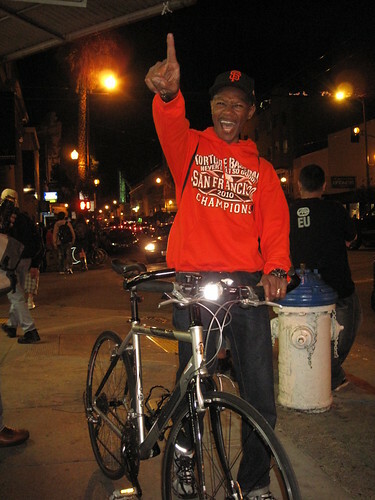 The Giants Win The Pennant!!!! !